Steampunk scientists, there's a new spectrometer for your workshop, and it's called the iPhotometer 5. If you don't know already, a spectrometer is an instrument used to identify unknown materials by measuring light properties over a specific portion of the electromagnetic spectrum. The so-called iPhotometer 5, a spoof on the iPhone 5, is actually one of the models available on Public Lab's Kickstarter project, which is selling DIY spectrometry kits. 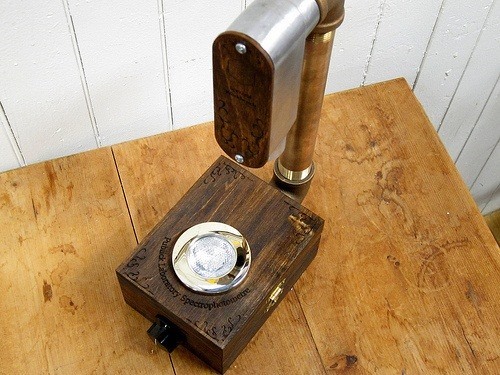 There's only 5 of these steampunk spectrometers available, and you have to pay the ultimate pledge of $1,000 or more to get your hands on one. 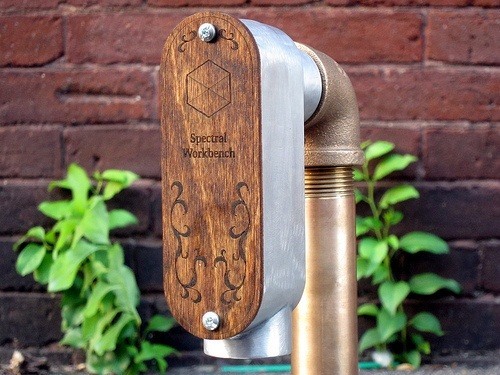 "It's made from polished aluminum, brass, and finely finished, laser engraved wood. 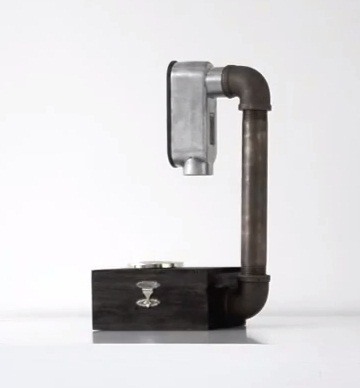 It's functionally identical to the "countertop" model, but has enough polish to make Isambard Kingdom Brunel proud. Don't back this unless you are a) feeling sooo rad or b) trying to support the Public Lab nonprofit." 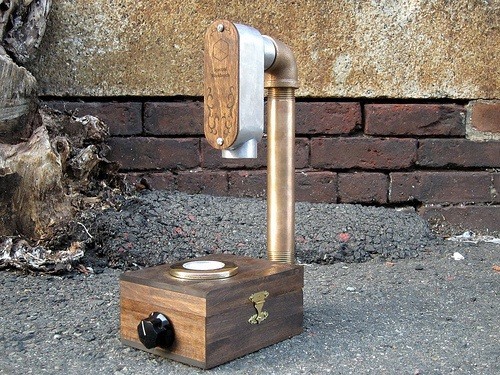 If you don't want to pay that much for a steampunk spectrometer, I'm sure you could make one, since Steampunks are quite the craftsmen. 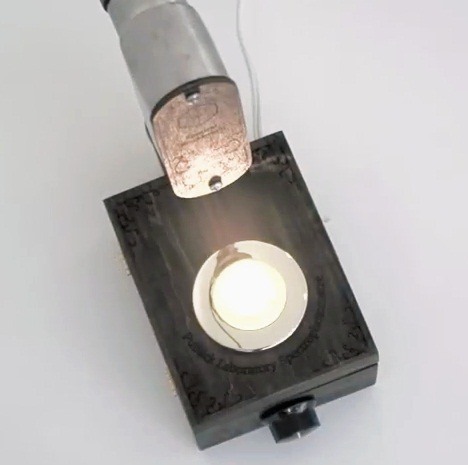 They've already dished out the tutorial for building the video spectrometer at home (it's all open-source), so it shouldn't be that hard to figure out this steampunk version. Public Labs' overall goal is not to make tons of money selling spectrometers, but to get spectrometers in the hands of interested folks who are willing to contribute to the Public Labs database of spectra examples. They hope to create a Wiki-syle library for materials, to help investiage chemical spills, diagnose crop contaminates, and more. To get more details, visit their Kickstarter page.